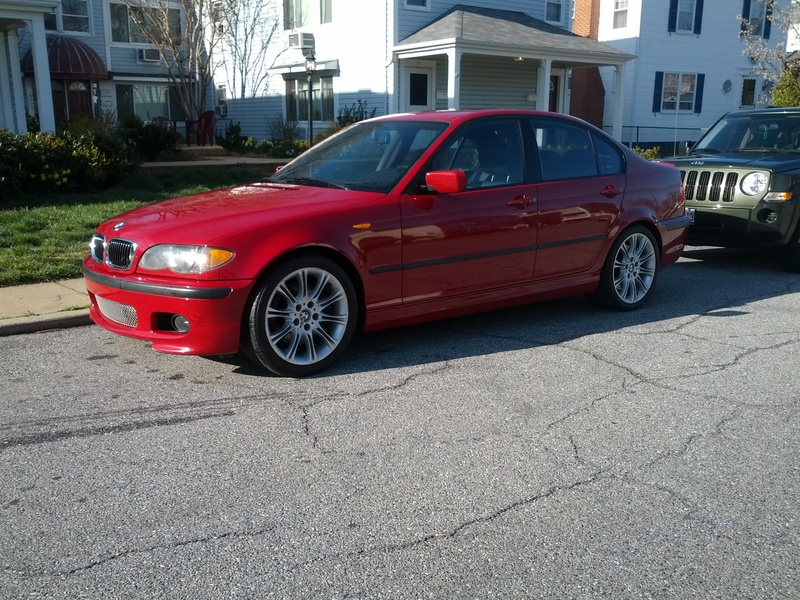 Meet the newest addition to my automotive family: Gisela, a 2003 BMW 330i ZHP. She’s Imola Red (Imolarot 2 to be specific) with black leather interior. I’ve had her for about a month, and I’m in love. Gisela is my third BMW. My first was Erika, a 1992 325is in Brilliantrot, and my second was Natalia, a black 2001 330ci. This is the first 4 door BMW I’ve owned, and I’m really enjoying the convenience of having the rear doors. I don’t have people in the back seat very often, but when I do it’s a huge help. It’s also the first ZHP model I’ve owned, and I’m impressed. It’s hard to explain the difference in how it drives, but it feels…tighter. Plus, who doesn’t love having a 6 speed manual? As with all my cars, you can look forward to modifications as I go. Let the fun begin!